Do you remember this? | Ooh, my favorite! 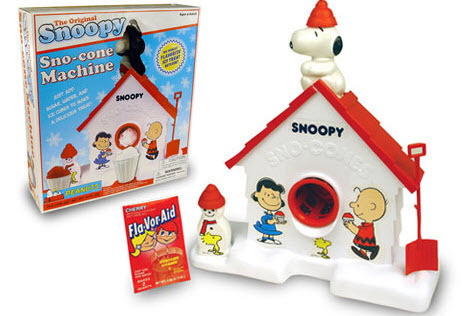 I’m a product of the early 80’s so I totally flipped when I came across this Snoopy Sno-Cone machine the other day. I don’t remember all that much about this, but it seems so familiar. Do you remember seeing this when you were a kid?